The first thing to realize about the rules for the DUNGEONS & DRAGONS® Basic Set is for whom they are written. Most of you reading this article already know how to play a D&D® or AD&D™ game. Most of you learned how to play by watching a game or having a friend guide you through your first game. If you have seen a game played, the rules are pretty easy to understand. But the D&D Basic Rulebook is written for people who have never seen a game. It is intended to teach the game to someone who’s coming to it for the first time. All other considerations should be secondary to teaching how to play the game with a minimum of confusion. I like to think that the first Basic Set did just that. The new edition of the Basic Set, edited by Tom Moldvay, certainly does so as well. The second edition, as sold in the boxed set with dice and D&D Module B2, The Keep on the Borderlands by Gary Gygax, is the best possible introduction to the D&D game. Those of us who are already playing D&D games will be able to find lots of things to “complain” about (Why only seven character classes? Heal light wounds cures paralysis? A charmed Magic-User is too confused to do magic? Boy, that last rule would make a dramatic change in the conduct of my game, where the player characters would be apt to yell, “Don’t kill the evil magician! Let me try to charm him first, then use him to wipe out the rest of the monsters on this level.“). But actually these are minor quibbles to someone who is just learning to play. 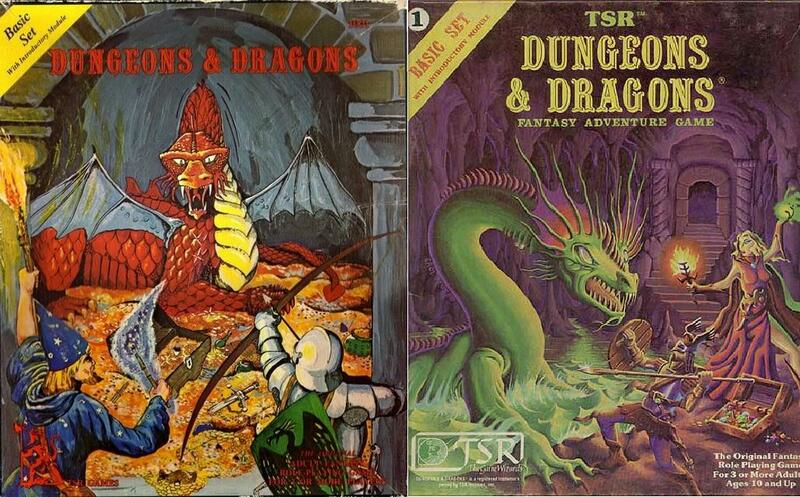 When Tactical Studies Rules published the first DUNGEONS & DRAGONS rule sets, the three little books in brown covers, they were intended to guide people who were already playing the game. As a guide to learning the game, they were incomprehensible. There was no description of the use of the combat table. Magic spells were listed, but there was no mention of what we all now know is a vital aspect of the rules: that as the magic user says his spell, the words and gestures for it fade from his memory and he cannot say it again. When I edited the rules prior to the first edition of the D&D Basic Set, it was to help the thousands (now millions) of people who wanted to play the game and didn’t know how to get started. Gary Gygax acknowledged that some sort of beginner’s book was badly needed, and he encouraged me to go ahead with it. What I discovered is that the invention has four vital parts: The first is character generation (the traditional 3d6 determination of characteristics). This character section must also include rules for different races and for special talents. There must be rules for character advancement of some sort. The second part concerns magic (or, in a science-fiction game, high technology, which is the same thing). Rules must be given for how to perform magic, who has magical abilities, etc. There must be a list of allowable spells and their prerequisites. There must be rules for possible spell failure, for saving throws, for magic resistance and so forth. Third, a section on “the encounter.” This is mostly rules for combat and the all-important combat table, but there also need to be rules for movement, for hiding and detection (listening at doors), for negotiation and monster reactions, for running away, and so forth. Finally, there needs to be a section of the rulebook intended for the DM. This includes descriptions of monsters and nonplayer characters, and treasures and magical items. It also includes guidelines for setting up and conducting adventures, usually with several examples. I struggled very hard to make all these things clear to the readers of the first Basic Rules and yet retain the flavor and excitement of the original rules. I even used the words of the DUNGEONS & DRAGONS Collectors Edition (the original books) whenever possible. I had disagreements with Gary over some items (I wanted to use a spell point system, for instance), but we kept the rules as close as possible to the original intent. D&D is, after ail, a truly unique invention, probably as remarkable as the die, or the deck of cards, or the chessboard. The inventor’s vision needs to be respected. The first Basic Set rulebook contained some irritating typographical errors. Someone at TSR rewrote the wandering monster table and put in a number of creatures that were not in my list of monster descriptions. But most of the errors were corrected for the second printing. The second edition Basic Set makes a number of minor changes and adds 18 pages’ worth of new material to the booklet. Most of the changes and additions are, I think, improvements. I would like to examine a few of them more closely. Character classes: Player characters are restricted to being a Fighter, Cleric, Thief, Magic-User, Elf, Halfling or Dwarf. This probably covers the roles most beginning players want to try, but I am personally sorry to see the range of possibilities so restricted. The original rules (the three little brown books) specifically stated that a player could be a dragon if he wanted to be, and if he started at first level. For several years there was a dragon player character in my own game. At first level he could puff a little fire and do one die of damage. He could, of course, fly, even at first level. He was one of the most unpopular characters in the game, but this was because of the way he was played, not because he was a dragon. I enjoyed having dragons, centaurs, samurai and witch doctors in the game. My own most successful player character was a Dreenoi, an insectoid creature borrowed from McEwan’s Starguard. He reached fourth level (as high as any of my personal characters ever got), made an unfortunate decision, and was turned into a pool of green slime. Character alignment: This is the most difficult of the D&D concepts to get across. The new rules spend more space on alignments and do a much better job of explaining them, using practical examples. Alignment is Law, Chaos and Neutral. Good and Evil are not discussed as separate alignments at all, which I think makes better sense. The first Basic Set had one of those diagrams which said that blink dogs were lawful good and brass dragons were chaotic good. I never felt that this was particularly helpful. I am sure Gary Gygax has an idea in his mind of what chaotic good (or other “obscure” alignments, etc.) may be, but it certainly isn’t clear to me. Without meaning to be irreverent, I am also sure that Buddha knew what he meant by nirvana, but that doesn’t clarify it in my mind either. I think the new rules simplify the issue appropriately. Armor Class: The new rulebook continues to avoid the unnecessary proliferation of armor types found in the AD&D game, which also incorporates splint mail, scale mail, and ring mail. This is good, but herein also lies a missed opportunity. I think the numbering system should have been adjusted to make plate armor and shield, the best non-magical protection possible, AC 1. Then all magic armor could be represented by zero or negative numbers to indicate armor class. A minor point, at best. While I am on the armor and equipment page, “mace” should have been included in the glossary (and the very existence of a glossary is a tremendous improvement). Many modern-day players think “mace” is an aerosol can of tear gas! Magic and spells: The new rules specify that if an adventure lasts longer than a day, the Magic-User can get his or her spells back through a period of rest and concentration. I’m glad to see this securely placed in the rules. All of us who act as Dungeon Masters have had to allow this on longer adventures. Actually, the “spell book” is often a needless complication and can be dispensed with. Of course, a particular DM can make spell books a vital part of the game— suppose evil Magic-Users hired a high-level Thief to steal the player characters’ books? Phantasmal force has been added to the available spell list. The list is still much shorter than that in the original D&D rules or in the AD&D books. Phantasmal force has been appropriately weakened in the new rules, however; even if the victim fails a saving throw, he or she is not permanently harmed by the phantasm. If determined to be killed, the character actually only passes out, and recovers in 1d4 turns. Presumably, hit points lost in this manner are also restored after 1-4 turns. This makes the phantasmal force a much fairer attack. With the old spell, the M-U could summon a dragon or demon and, if the poor victim failed his saving throw trying to disbelieve it, he was as good as dead. A phantom, it seems to me, should indeed be terrifying, but basically harmless. 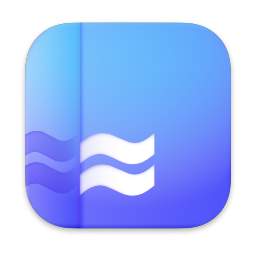 Infravision: Saying that infravision is the ability to “see” heat patterns is putting a magical ability into terms of mundane universe physics. I think it would have been better to leave it as pure magic. I know this “heat seeing” explanation is the one favored by Gygax, but it embraces too many inconsistencies. The Encounter: Moldvay correctly stresses the importance of using “turn” when a one-minute turn is meant, and “round” for a ten-second round, and not mixing them up. How much confusion would have been avoided if the rules had always followed this simple edict! The new rules introduce surprise and initiative die rolls into the combat situation. I had merely had the creature with the highest dexterity strike first. The initiative roll makes combat a good deal more chancy, and I’m not sure I like it. I will not object, to it on the basis of its being less “realistic,” however! The game’s entire combat system has been criticized for being unrealistic, and many game designers have tried to improve upon it, but with little success. It is possible to make a combat system that is more like a real hand-to-hand battle, but then it takes too long. 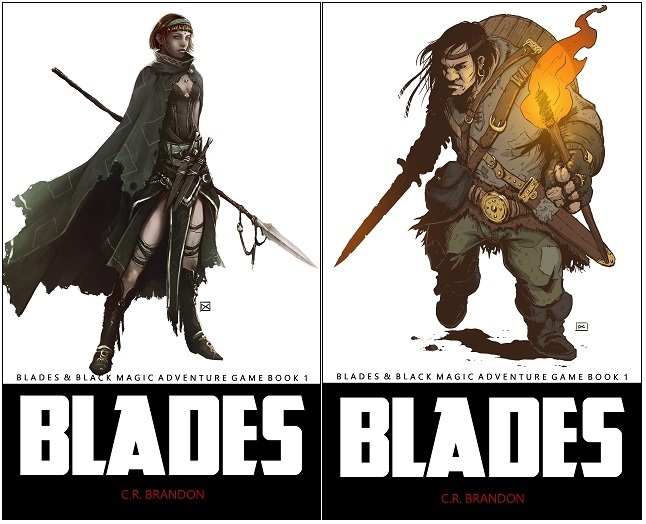 Combat and magic are the high points of an adventure, but you don’t want the rules to be so complicated that a beginning player can’t master them. And, even when your character’s life is at stake, doing innumerable die rolls for every move can get boring. The present system is fast and workable. Critics who complain about its lack of realism have forgotten that it is not intended to be a simulation of real combat. It is a simulation of combat as it occurs in most fantasy novels, and at this it succeeds admirably. The combat sequence has been slightly and appropriately changed. The new rules provide for fighting withdrawal as well as retreat, and there is always the possibility of a hit (20) and always the possibility of a miss (1). These are improvements over the original system. Monsters are given a morale rating. If they fail a morale check during combat, they try to flee or surrender. Player characters, of course, are incredibly brave and may fight to the death if they wish. This “run away, run away!” rule for monsters is a good one, and allows for far more interesting fights and more satisfying victories for the players. The DM, if he wants to be sneaky, can have those fleeing orcs make a bid for revenge. They would be likely to set up a trap or an ambush to catch the unwary characters on their way back out of the dungeon. They might go down a level and try to negotiate an alliance with a more fearsome monster from the depths to come up and help them get even! I think the present combat system lacks only one device common to sword and- sorcery tales, but it is one so commonly used that I miss it in the game. There is very little chance for the hero to be knocked out and taken prisoner. Yet, that is so frequently what happens in a fictional battle. True, there is a provision in the rules for subduing dragons by “attacking with the flat of the sword,” etc., which could be extended to other creatures. It requires declaring at the start of melee that one is trying for subdual, and it does not provide for “knocked out” as a result of ordinary combat. In ordinary combat you are either alive or dead! Perhaps inserting a “knockout” rule would needlessly complicate the system, but when I think of all the times John Carter or Conan was overwhelmed by enemies and came to in some sort of dungeon trap, I miss the opportunity to re-enact some of their situations. Monsters: There is a much more extensive monster list in this second edition, including many not in the AD&D Monster Manual. This gives the beginning DM plenty to work with. I’m glad to see Moldvay included the dragons just as I did in the first edition. It seems almost silly to describe dragons in a book intended only for player characters up to the third level. On the other hand, think how disappointed you would be if you were an inexperienced player who bought a DUNGEONS & DRAGONS game and found nothing about dragons inside! The rulebook continues with a section on treasure and an example of how to plan a scenario and draw your first map. The section “Dungeon Mastering as a fine art” has been expanded. The beginning DM is given advice on dealing with “That’s not in the rules!” “Your character doesn’t know that!” and other crises that arise in a beginners’ game. Excellent: The more help we can give the poor DM, the better. There is a page-long list of “inspirational source material” which is more complete than the one given in the AD&D Dungeon Masters Guide. I didn’t have such a list in the first edition; this is someone else’s inspired idea. I wish I’d thought of it. Do you know there may be people out there playing a D&D game who have never read The Lord of the Rings? Finally, there is a glossary (which complements the one in The Keep on the Borderlands) and, hallelujah, an index! Any book this complicated needs an index. The original Basic Set had a final page of tables which could be torn out and used for reference. I wish it had been included again. A few comments on the other components in the new Basic Set: First, there’s the module, The Keep on the Borderlands. This is, in my opinion, the best thing Gygax has written for us yet. It contains all kinds of hints for the DM and the players. There’s enough stuff on the map to keep a low-level party busy adventuring for weeks. Truly a bargain. “But I didn’t have anything to do with picking the dice!” I would cry. Well, the second edition has a different set of dice. The 20-sided die is numbered from 1 to 20. (Now there’s an innovation.) Unfortunately, the dice are small, hard to read even when marked with crayon, and, let’s face it, really ugly. I’m sorry, Tom, but it looks like you too are going to have to go through the next few years feeling responsible for ugly dice! I think the new Basic Set rules are an improvement over the first edition. Not a big quantum jump ahead, but better in a number of minor ways. I’m proud of the original Basic Set, and I like to think I did a good job of describing a great invention; the DUNGEONS & DRAGONS game, so that everyone could enjoy it. The nicest compliment I ever got for it was from a game-store manager who said, “That’s made a lot of people happy.” May the new edition do the same. That's just interesting as hell. Thanks for posting it! Fascinating. Thanks for posting this! Interesting to see the author of one version review the later version. This made my day - incredibly interesting read and an invaluable piece of the puzzle that is our hobby. Thank you for posting this! I love this sort of thing. Those were the books I had learned how to play from so it is nice to know some of their history. Glad you found it as interesting a read as I did! It is interesting to note this article and Moldvay boxed set article are in the same issue right by each other. Very cool, thank you! Now I'm going to have to compare the MM vs. Moldvay to see what monsters were included in the latter that weren't in the former. @ Chgowz: The thoul, for one. Wow, thanks for posting this! I'm a little shocked that, if Holmes had had his way, Basic D&D wouldn't use Vancian spellcasting! Excellent read. Thanks for posting it. I never noticed that OD&D omitted the rule about magic-users forgetting spells; I'll have to reread that.